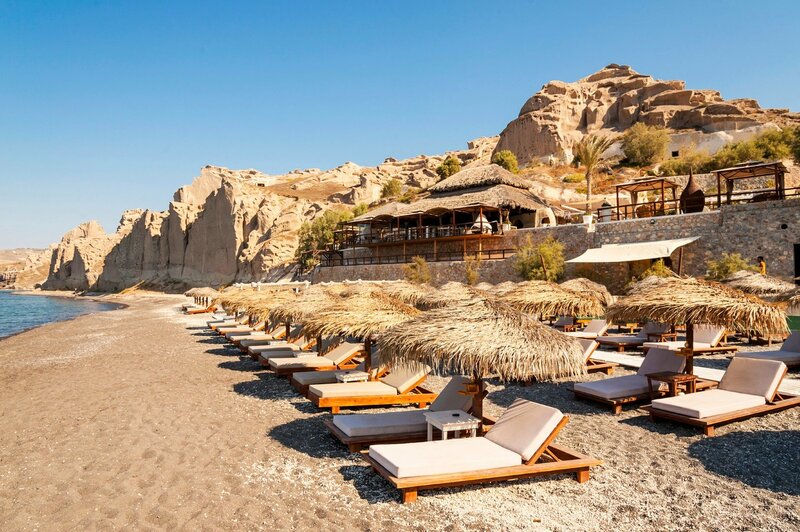 In a landscape of extraordinary beauty, at Eros beach in Santorini island, Theros Wave Bar is the perfect all day destination throughout the summer. Exotic, romantic, elegant, cheerful and welcoming, has been voted as one of the best beach bars in the Mediterranean and it is ideal for events, weddings, parties, receptions. Join the club and live at Theros Wave Bar the most memorable moments of your vacation!